We had a great adoption event at Big R over the Memorial weekend and would like to thank Jim and the crew at Big R for providing a nice WARM place to have our animals. 5 cats and 3 dogs found new homes! We would like to thank everyone that stopped by to support us by adopting, donating and by thanking us for what we do. Please call us if you are looking for a new family member. We almost always have cats, kittens and dogs looking for new homes. If we don’t have what you are looking for we can put you on our waiting list! By adopting locally YOU are SAVING A STRAY! It’s Spring Fling Time at Big R!! Please join us May 26th, 27th and 28th at our adoption event at Big R. We will have some cats, kittens, big and small dogs up for adoption. Our hours will be from 11-5 each day. Hope to see you there! While we want to help EVERYONE that calls us for help sometimes we are not able to but we can direct you to someone that can, please check the list here on our website. 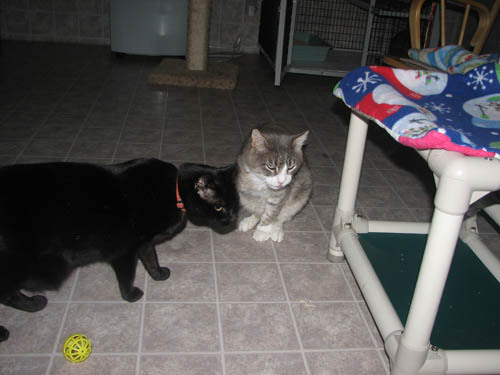 As most of you know Save A Stray DOES NOT have a building to house the animals and currently have only 3 foster homes. Until we find more foster homes we can not take in any more CATS at this time. If you have a mom cat with kittens and can keep them until they are 8 weeks old and or 2 pounds we can help get mom and all the kittens spayed and neutered at little or no cost to you and then possibly help to find homes for the kittens. Please call us for more info on how we can help with the feral cats. 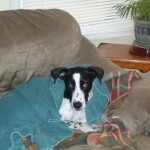 Most of the time we can take dogs and puppies, so please call us for help with them. First if you are moving and can’t take your pet, please check with friends and family first to see if they might be able to help you out. If you have found a stray dog, it must be impounded at the local vet clinic first and if not claimed by the owner then we will save it from being euthanized. If you have found a stray cat we can help to get it spayed or neutered at NO COST to you if you agree to feed it or can keep it until a home can be found. 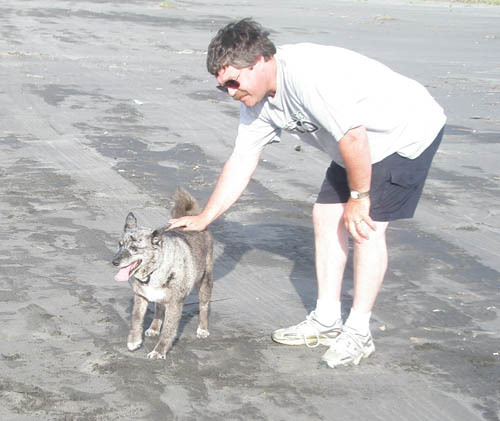 Save A Stray would like to ask for your continued support by helping in any way you can. Here are a couple of places where you can get your pets fixed for a reduced price. Call for prices. 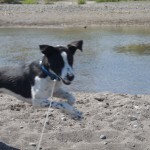 Here is a happy tail about Riley (aka Ajax) from the Princeton rescue. 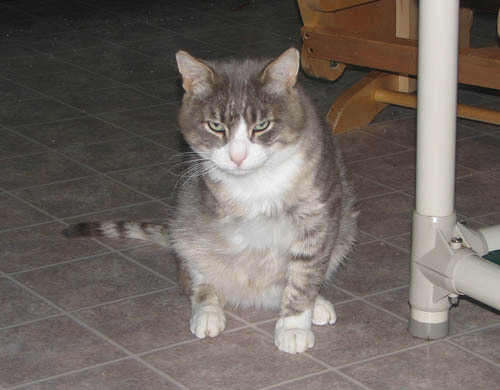 You may remember Riley; he looked so sad in his before photo. Well, after being in a foster home, and being adopted out a few times, he has finally found his forever home with Kathleen. She is committed to giving him the time and patience he deserves! Things are going pretty well. Riley has warmed up to me a lot and is getting better around my boyfriend. My girl dog is starting to like him, but my boy dog is showing a lot of dominance. I did expect that though. 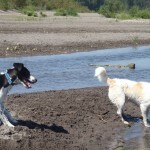 They do run and play together at the river, but my boy dog is still resistant to him. It will take some time!! 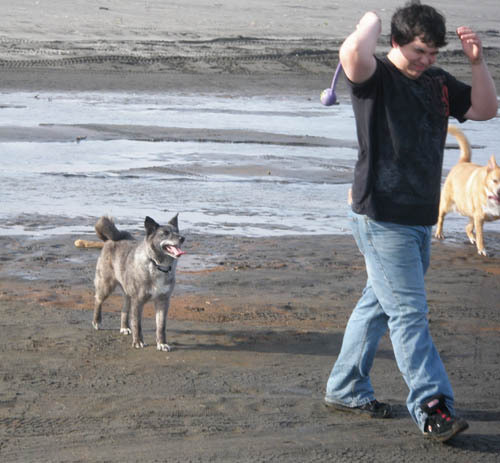 Riley gets to play with all the other dogs that want to play with him and he plays very nice. 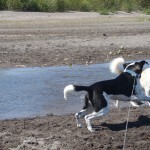 Yesterday there was lots of dogs there, he ran and played in the water like he was in doggie heaven. He wasn’t sure of the water at first, but is getting braver and braver. He is still very scared of everything when we are not out in the open spaces, but with each day I know he will learn to trust us more. He really is a perfect angel, he just needs to come out of his shell. Shadow came to us back in May after being shot by a high powered gun that shattered his foreleg. 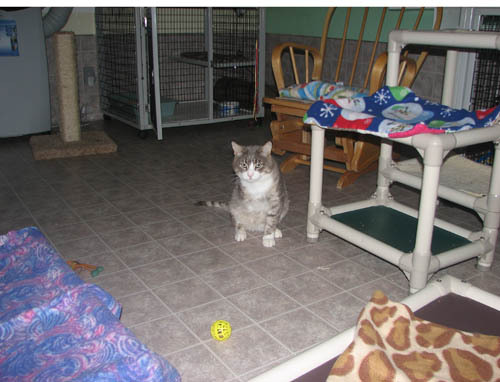 Thanks to Pasados he is living a great life in Kitty City until he finds a forever home. He is doing really well. He even rolls on his side and lets Pasados workers scratch his stomach. He’s in a pretty plush space now with about twenty other friends. He can go outside whenever he wants but he also knows where the beds and ample food are, too. He’s ready for his forever home, which will open up a space for another kitty in need. Daisy is one of the dogs from the Burns hoarding case. She has been with us for five days now and has made great progress– though it is definitely two steps forward and one step back. Still, it’s delightful to see her wandering around the house exploring. She is staying in a 4 x 4 pen in our living room. We keep a 6-foot leash on her so we can get some control when needed. Sometimes we use a crate but mostly not. Daisy is eating and drinking well now and eliminating outside. 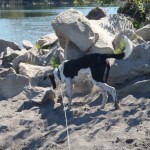 It’s still kind of tricky maneuvering her with the leash, it’s part pulling and part herding her out. I was worried about Daisy wanting to escape over the fence but what she really wants is to get back inside the house! 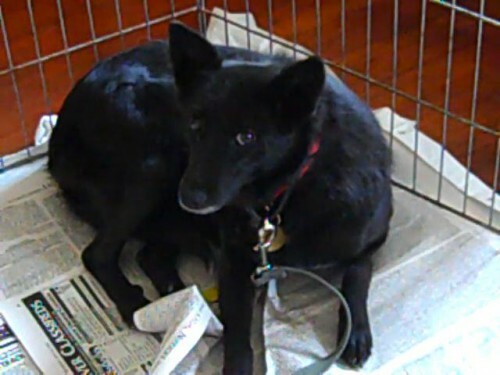 Daisy is a rather pretty girl who looks like an over-sized Schipperke or a tiny black German Shepherd. She weighs about 25 lbs. being kidnapped and imprisoned, her keepers are all she’s got. But that gives us a tool to work with her, knowing that she wants to trust us and link with us. 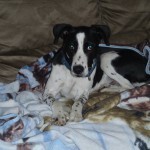 This is our second Burns dog and we got so very much help from following the FurKidz 911 blogs. 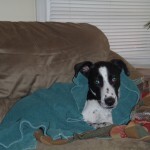 FurKidz 911 fostered many of the Burns dogs. 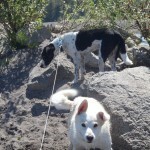 After reading their stories we knew what to expect and were not alarmed by the dogs shutting down at first. Thanks so much to FurKidz 911! Gordo always hid out under the old trailers on the property so I don’t have a before pic of her. 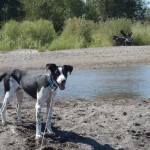 She was fostered, and then adopted and now she’s doing GREAT! 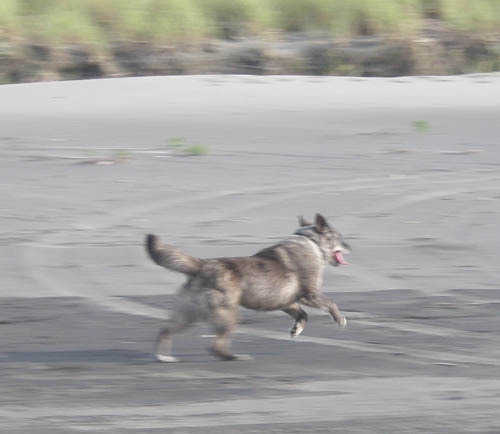 This was a dog you could not even touch or dare let off leash in the beginning but look at her now…priceless!! 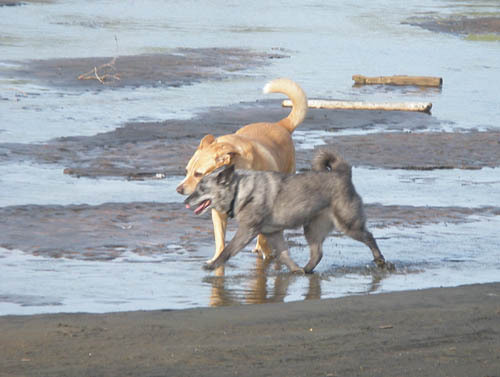 Silver Bell now goes to the beach and plays with off-leash with other dogs. She is now playing in the back yard and wagging her tail; she even wags her tail at her human mom!!! She is still a little scared she runs to her box and hides, but going to a safe spot is so much better than “run and hide”.